Know How Peppermint Tea Benefits Skin, Soothes Your Stomach & Reduces Periods Pain! If you are an ardent tea lover, be prepared to know how peppermint tea benefits skin and your health on the overall. Get to know the benefits and replace your daily cup of a regular tea with this freshly brewed super tempting flavoured peppermint tea. With this tea becoming a trendy beverage of the latest times, have you been wondering about peppermint tea side effects? Peppermint tea benefits in providing you with a clean and clear skin, but excessive consumption may cause flushing (redness of skin). This herbal tea helps in curing an upset stomach, but excessive consumption would obviously lead to heartburn. While drinking peppermint tea can relieve you from bad breath, excessive consumption can lead to the emergence of cold sores. So, the trick lies in balancing the amount of peppermint tea that you are consuming on a daily basis. If you have been looking for how many cups of peppermint tea per day, it is usually advisable to consume not more than two to three cups of peppermint tea. You can obtain the maximum health benefits of peppermint tea if you decide to consume not more than two to three cups of peppermint tea per day. How About People Suffering From Acid Reflux? There are numerous benefits of peppermint tea that will make you want to include this refreshing tea in your diet but if you have been suffering acid reflux, it is not advisable to consume more than one cup of peppermint day per day, as this may worsen the condition. Peppermint Tea For Skin – Drink And Also Apply! Have you ever come across a product or an ingredient that helps in beautifying your skin externally as well as internally? Turmeric! It can be considered the best example. But you know what is even more perfect? Peppermint tea. Whether you have this tea as a refreshment drink or apply the tea to your face, this ingredient never disappoints you. In fact, beauty hackers have become so obsessed with the benefits of peppermint tea that, they have started manufacturing peppermint tea facial toners to help out people suffering from acne problems. A peppermint tea facial toner. Yes, you have read it right! I can call it the best toner and you will know why must you add this toner into your cosmetic basket? What Does Peppermint Tea Facial Toner Contain? While drinking peppermint tea has not one but numerous benefits for skin, peppermint tea facial toners are prepared out of chemicals that are skin friendly, the most important ones being menthol and salicylic acid. If you have ever searched for ways to clear your acne, you would have definitely come across salicylic acid which is very effective in clearing your acne and giving you a soft and glowing skin. The best part about this facial toner is that it consists of both menthol and salicylic acid which help in reducing the probability of acne breakouts by reducing the production of sebum and maintaining an appropriate pH for the skin. If you want to make the most out of peppermint tea benefits, you can use the facial toner and drink this herbal tea twice in a day which is the quickest possible way to see the desired results. Preparing a peppermint tea facial toner is as easy as making yourself a hot cup of tea. You just have to prepare a hot cup of this tea, let it cool, transfer it into a spray bottle and store it in the refrigerator. You just need a handful of peppermint leaves or two to three peppermint tea bags and you will be all set to prepare the tea. Boil a few cups of water and add the leaves or bags into this water. Let the water absorb the essence of peppermint after which you can turn down the flame. If you wish to savour the tea, you can add a tablespoon of honey to enjoy the sweet essence but since you are aiming at preparing this tea as a facial toner, you can let it cool and then store it in the refrigerator. You try to protect your skin from various external factors and try to take extra care of your skin by following various home remedies, but all your attempts can go in vain if you have not tried to obtain a clean and clear skin by following some remedies that can help you internally. Peppermint tea is one such beverage which can bring the desired changes to your skin. The main reason for the emergence of oily skin is the excessive production of sebum by the sebaceous glands. This is a very natural process and you have to know that the secretion of sebum is really good for your skin. The real problem arises when the sebum is secreted in excess amounts. You can control this activity by consuming peppermint tea as this helps in controlling the excess oil production. Though there are many sources that you can rely upon for making your skin smooth and clean, peppermint tea benefits are numerous which makes people opt peppermint tea for beautifying their skin. 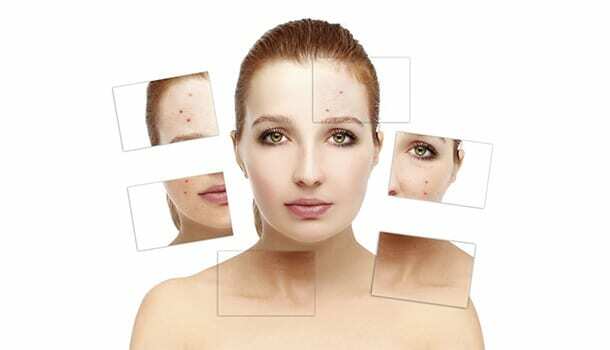 Acne can either occur due to a hormonal imbalance or due to an excessive production of sebum on the face which can lead to clogged pores, a reason for the emergence of acne. Consuming peppermint tea can aid in balancing your hormones and reduce the sebum production which is why savouring this tea can help in diminishing your acne and zits. The prime reason for the emergence and appearance of red and flaky skin is inflammation and itchiness. You can choose to get rid of this by making a regular habit of consuming peppermint tea. One of the major benefits of peppermint tea is that it contains antioxidants in large amounts which will help you get rid of the uncontrollable itchiness. If you have been suffering from persistent acne and scars that are never leaving and stubborn, consuming required amounts of peppermint tea on a daily basis can help you in getting rid of those ugly blemishes and scars. Anti-oxidants present in the peppermint tea benefits skin by effectively removing the spots and blemishes. How Peppermint Tea Benefits Stomach? If you have very frequently been facing stomach disorders or if they have been not letting you do your work in peace, you can simply opt for a refreshing cup of peppermint tea twice in a day to get rid of the following problems. An upset stomach can cause you a great distress prohibiting you from accomplishing your daily tasks and duties. 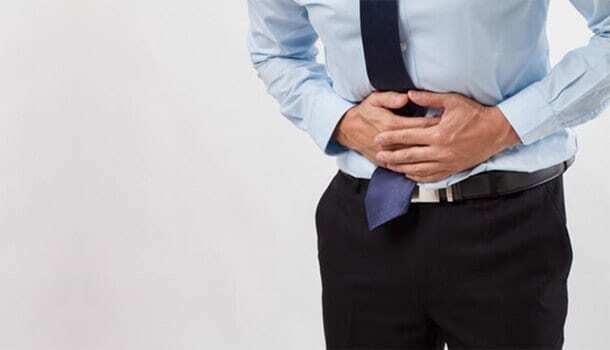 There are various remedies to help you get rid of an upset stomach but the quickest and the most effective way to resolve your problem is to have a cup of peppermint tea anytime during the day, more particularly before you go to bed. One of the major benefits of peppermint tea in curing your upset stomach is that this drink is enriched with certain elements called carminatives which will reduce the symptoms of bloating, nausea and vomiting. A simple tip for an upset stomach – You can simply inhale the scent of peppermint to get rid of the symptoms of nausea and vomiting which are the most commonly occurring symptoms of an upset stomach. Constipation can be a very minor and negligible problem if it does not cause any serious side effects. But, it can be very troublesome if it has been causing some serious side effects such as stress, depression or a severe anxiety. 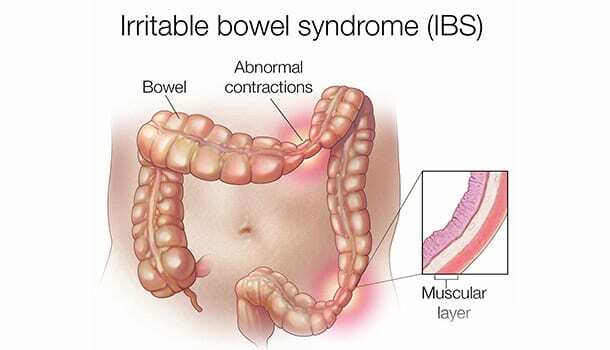 This condition can be generally referred to as an irritable bowel syndrome (IBS). If you have been looking for various ways to get rid of this problem, you can make a habit of including peppermint tea in your daily diet. 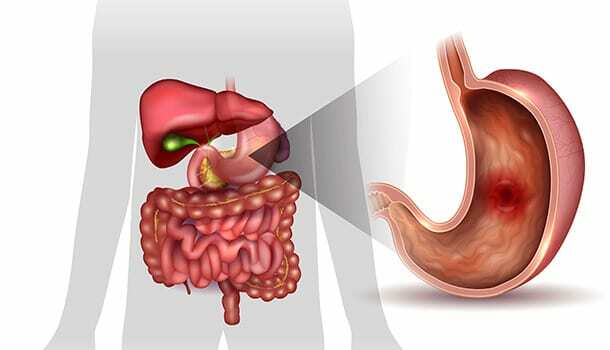 Since this herbal tea acts as a great stress buster and eases the symptoms of bloating, it is considered as the best remedy for curing an irritable bowel syndrome. Peppermint tea benefits are so amazing, a daily consumption of two to three cups of peppermint tea a day may completely resolve your problem. You could sometimes exceed the permissible limits of your food consumption because of your immense liking towards the food. You will definitely face this problem if you are a foodie. The immediate result of this can be indigestion and diarrhoea. You can cure yourself of the resultant symptoms that have been bothering you. The best way to get rid of indigestion is to consume peppermint tea more frequently to get rid of the annoying symptoms. However, if you have been suffering from a condition called acid reflux, you can avoid drinking peppermint tea as this may elevate the condition and cause a severe heartburn. This mint flavoured tea has an answer for almost all your health complications which is why we cannot justify the health benefits of peppermint tea in a simple form. Here are some peppermint tea health benefits and a brief elaboration of the benefits that are going to save you from all your major health complications. If you have been wondering that peppermint tea benefits skin alone, you will have to know these other benefits which are associated with this herbal tea. Does your job make you sit in the front of desktop for prolonged hours and constantly make you glare at the computer screen? This can definitely result in an eye strain and a severe headache. There could be other varied reasons for your headache apart from this but there is one simple tip which you can follow to relieve yourself from the work stress and headache. If you are habituated to gulping down hot mugs of tea to obtain a relief from your stress loaded work life, you can replace your regular tea with a refreshing cup of peppermint tea, which will benefit you in numerous ways apart from being a stress buster. Have you ever heard of something called dopamine? If yes, you could be knowing that there are several factors which result in the release of dopamine and one among these factors is inhaling or consuming a few traces of peppermint tea. Having regular cups of peppermint tea, two to three times in a day can increase the activity of your brain cells as menthol present in the tea results in the release of dopamine. If you have been looking for ways to get rid of drowsiness, peppermint tea benefits in enhancing your mood and increasing your productivity. You cannot obviously avoid your periods, but the good news is that you can definitely relieve yourself from the excruciating pain that occurs during your periods. The prime reason for the occurrence of your period pain is the contraction of the uterus and vaginal muscles which results in an unbearable pelvic pain. The only way to ease your pelvic muscle contraction is to treat your abdomen with something really nice and warm. You could be using hot water bags to press them against your abdominal area at regular intervals, but the best way to treat your pain is to drink a hot cup of freshly brewed peppermint tea. The natural healing properties of peppermint tea that are associated with the warmth will soothe your pain and will definitely give you a major relief from the cramps and discomfort. What is the most favourable beverage that is recommended when you suffer from a cough, cold or a severe fever? Well, I would definitely recommend you to savour a hot cup of peppermint tea to experience a sense of refreshment and relaxation. Trust me! You will feel warm and pampered after treating your sore throat with a hot cup of peppermint tea and this has worked wonders for me in providing a major relief from fever, cold and cough. But, why do people suggest tea to relieve yourself from fever and headache? It is because tea contains antioxidants which help in boosting your immune system by fighting back the free radicals which are the prime factors for your immune system to become weak and susceptible to cold and fever. If you ask me to suggest the best type of tea that has to be chosen as a drink of your choice, I would suggest you choose peppermint tea because, other beverages such as green tea, chamomile tea or any other tea for the matter of fact is infested with caffeine and sugary sweets. In addition to the benefit that peppermint tea is devoid of sugars, this tea contains a fresh flavour of menthol which helps in the maintenance of a good oral and dental health. Drinking this tea on a regular basis can reduce bad breath which is one added advantage when compared to the benefits of other herbal teas. We often rely on various diet plans to lose weight. Diet plans can definitely help you achieve a quick weight loss but following some easy tips can make your weight loss process much easy. One such easy tip is to include some healthy beverages in your diets. Whenever you feel a need to quench your thirst or appetise your stomach, treat your stomach with herbal teas instead of opting for sodas or aerated drinks. Drinking peppermint tea can keep you full for longer periods which makes you stay away from junk foods, thereby helping in an easy weight loss. Also, peppermint tea helps in burning extra calories and makes the process of digestion much easy both of which are essential for you to lose weight and remain in the shape. Peppermint Tea – How Many Cups A Day? If you are wondering on how many cups of peppermint tea should be consumed in a day, the appropriate amount of peppermint tea that should be consumed on a regular basis is two to three cups per day. If the consumption quantity exceeds this, it may result in the following serious side effects. There are various sources which recommend you to consume three to four cups of peppermint tea per day, but it is usually safe and healthy to consume not more than two to three cups of peppermint tea per day to avoid some major side effects of peppermint tea. When To Drink Peppermint Tea? Know The Right Time. No matter how much you try to search for the most appropriate time to drink this herbal tea, you will be suggested or recommended to savour this drink at night right before you hit the bed. Not only is this time suitable for savouring peppermint tea, but it is the best time that is associated with numerous benefits of peppermint tea. Tea before bed during the night? Sounds weird? If you have been looking for when to drink peppermint tea, you need not feel doubtful or unsure about grabbing a hot cup of peppermint tea late in the night, because this surely won’t disturb your sleep. This is because peppermint tea does not contain caffeine like any other regular tea or coffee. In fact, drinking peppermint tea during the night can relieve you from the symptoms of bloating or a condition called Irritable bowel syndrome (IBS). Drinking peppermint tea in the night will ease your digestive process, resulting in an easy bowel movement. Peppermint tea benefits can, of course, propel you to include this tea in your diet, but if you want to see the desired result, you have to drink peppermint tea before bed. Peppermint Tea Vs Green Tea! Does Peppermint Tea Contain Caffeine? Tea can never have any negative impact on your health. In fact, it is the healthiest drink, much healthier when compared to coffee because coffee is very well known for its caffeine content. Tea also does contain caffeine, but comparatively in smaller amounts. While coffee and tea are both caffeinated which can instantly make you hyperactive and boost your brain cells, peppermint tea is one such beverage which is devoid of caffeine and does not make you stay awake for longer periods of time during the night. The healthiest tea you could have known so far is green tea. Now that you have known peppermint tea benefits, you could be in a huge dilemma on whether to consume green tea or peppermint tea. Peppermint Tea Vs Green Tea! What To Consume? You will be able to analyze the best choice all by yourself by simply having a glance at the individual benefits of green tea and peppermint tea. # A Bonus Tip! Peppermint Tea Hair Wash! Using peppermint tea to rinse your hair is quite a simple process. You just need to brew a fresh cup of peppermint tea (quantity according to the length of your hair). To prepare the tea, you can either use fresh peppermint leaves or peppermint tea bags that are readily available at the retail stores. Boil the water and then add the leaves or the tea bags into this boiling water. You have to wait and let the water absorb the essence of peppermint. Let the water cool so that excess heat doesn’t burn your scalp. Also, treating your hair with excessively hot water is not recommended as this can lead to the formation of split ends. For making the process more convenient, you can transfer the peppermint water into a bottle spray and follow the steps mentioned below. Condition your hair with a conditioner of your choice. Spray the peppermint tea into your hair and scalp or you can apply it directly with your hands. Make sure that you cover the entire volume of your hair. Wait for 20-25 minutes until your hair absorbs the peppermint tea after which you can rinse your hair with lukewarm water. You can follow this procedure twice a week for better results. If I were to suggest the best kind of herbal tea, I would definitely ask you to relish a nice and warm cup of peppermint tea considering its multiple benefits in comparison to all the other herbal teas since it helps in providing you a good skin and hair health which we all crave for, a happy gut, a stress free life and a relief from menstrual cramps apart from providing a maximum benefit to provide a clean and clear acne free skin and eliminating all the scars and blemishes. I hope the article which is listed with all the peppermint tea benefits has been useful in improving your knowledge and idea on this refreshing minty tea that has been trending. Wait no more! Grab a cup of mint flavoured peppermint tea for obtaining pure relaxation.